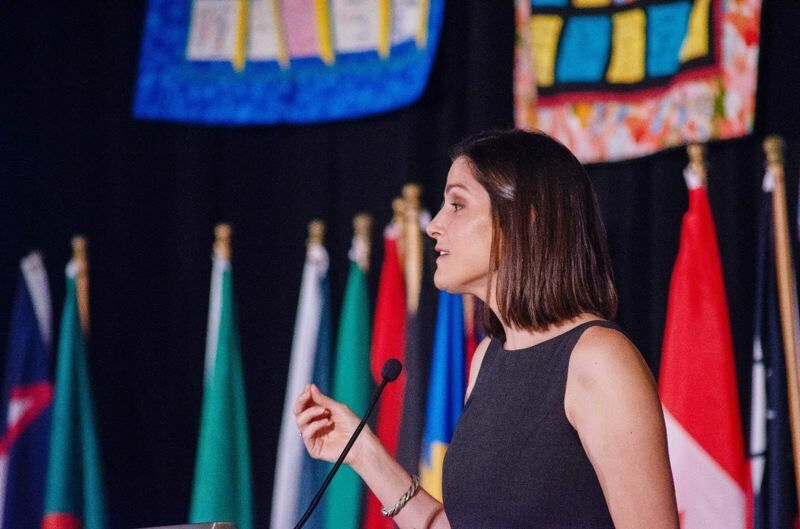 Jennie Willoughby, whose story of abuse at the hands of former White House Staff Secretary Rob Porter gained national media attention in February, will be the keynote speaker at Clackamas Women's Services' 2018 Pathways Gala and Auction. CWS's largest annual fundraiser held will be held Thursday, Oct. 18, at the Oregon Golf Club. Willoughby's writing has been published in Time Magazine, and her op-ed in the Washington Post was the inspiration behind the #AndSoIStayed movement. She has become a powerful voice for domestic violence survivors, and has used her platform to educate about domestic violence, its long-term impact on survivors, and what must be done to combat it effectively and help survivors heal. Since 1987, October has been recognized as Domestic Violence Awareness Month. At a time when the national conversation about violence against women has been at the forefront, CWS is looking forward to bringing inspirational leadership here to Oregon. "The courage that Jennie and other survivors have shown in publicly sharing their stories of abuse this past year has been a remarkable, watershed moment in our movement to end violence against women," said Melissa Erlbaum, executive director of Clackamas Women's Services. "It shed a light into the dark places and history shows us that change grows with that light." Tickets for the event can still be purchased at cwsor.ejoinme.org.